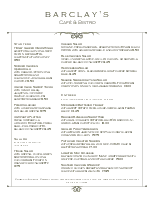 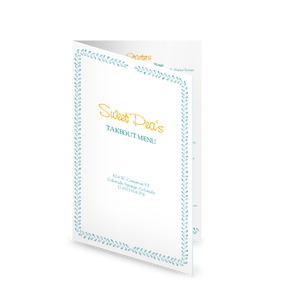 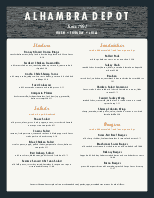 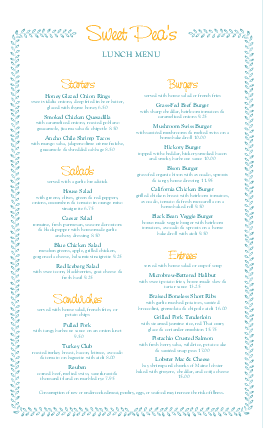 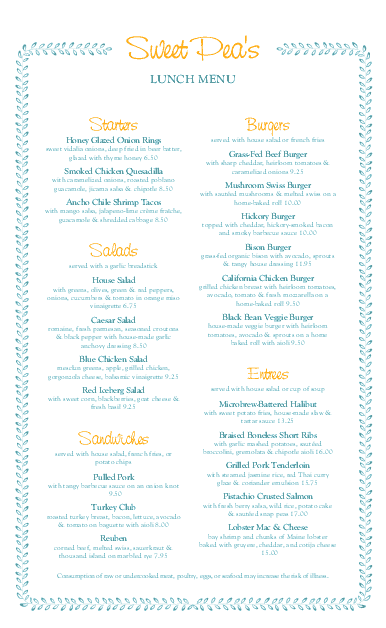 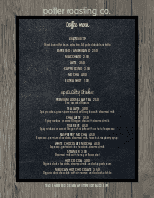 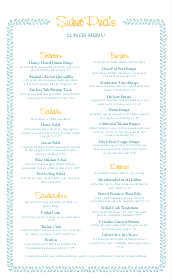 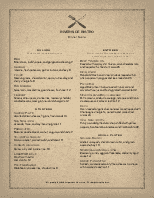 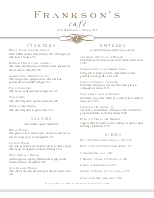 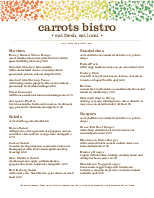 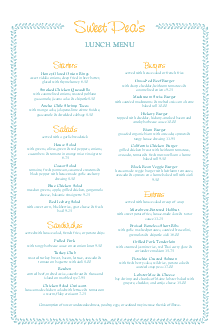 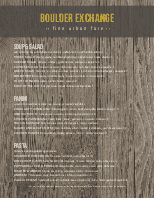 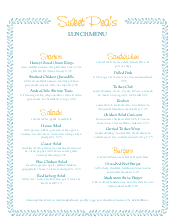 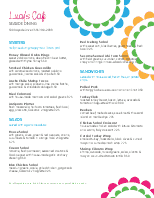 This Cafe Lunch Menu template displays a simple, blue, leafy border. 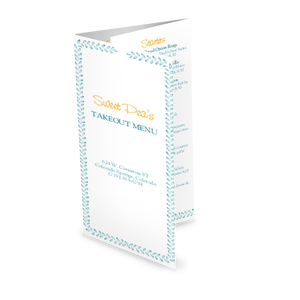 Your restaurant name and section names stand out in orange. 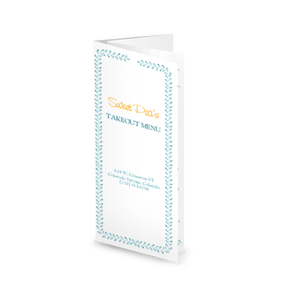 Customize this bright, fresh menu in the Menu Maker.